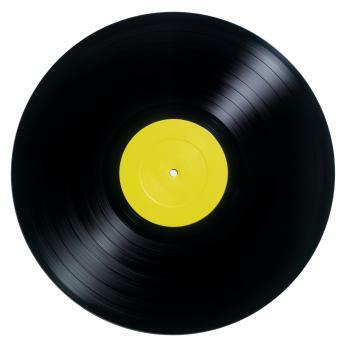 The list of best selling albums of all time actually varies a little bit, depending on whether you consider worldwide figures or if you narrow your list to the best selling albums in a particular country. Also, the list is a little more controversial than you might imagine. Differences in sales tracking techniques over time and in different territories means some people quibble about which albums really have sold the most. This is especially true of the number one album in the US - is it really Thriller or does The Eagles' Greatest Hits have the edge? 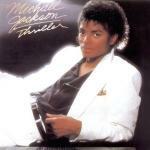 To date, Thriller has sold more than 110 million copies worldwide, which puts it far ahead of its closest competitor. However, within certain territories, including the US, other albums are edging close. In fact, according to the RIAA, in the US, The Eagles actually deserve the crown. Ask people what the second best selling album of all time is, and chances are they would never come up with this answer. Unlikely though it may be, this perennial hard rock/metal classic actually has enough crossover appeal to become the second best selling album ever. It has moved 49 million copies to date. Some Pink Floyd purists hate this album and long for the early Syd days, but like it or not, this classic rock staple is the one that acts as the Pink Floyd gateway drug for most music fans. Sales to date: 45 million. The reason everyone bought this album was Whitney Houston's cover of Dolly Parton's mega-hit I Will Always Love You. Houston's version couldn't have been more different than Parton's 1970s take on the song, but it sure worked for audiences - and Parton laughed all the way to bank with the royalties. Sales so far: 44 million. Another album in the top 10 list that might have some people scratching heads, but yes, Meat Loaf has outsold Madonna, The Beatles, Led Zeppelin, Britney Spears and anyone else you might have guessed would have him beat. No one else can really deliver what Meat Loaf can - rock music that plays more like Broadway material - so here he is, with 43 million in international sales. The Eagles' Greatest Hits album is, well, a hit. In fact, in the US, this collection has outsold Thriller. While the rest of the world isn't quite as enamored with the comp, it has still moved 42 million units to date. The soundtrack to the hit movie Dirty Dancing has sold the same amount of albums, for the simple reason that it is one of the best 60s music compilations around. Filling up spots eight, nine and ten on the list is the odd collection of the Backstreet Boys, Saturday Night Fever and Fleetwood Mac. The Backstreet Boys were boy band royalty in the late 1990s and early 2000s, and that was a time when competition for boy band dollars was fierce. They still define pop music from that age. The Saturday Night Fever soundtrack is dominated by the Bee-Gees and is to 70s disco music what the Dirty Dancing soundtrack is to 60s soul. Fleetwood Mac's Rumors is prog rock with a pop twist and beloved by fans and critics alike. These three albums have each sold 40 million copies to date worldwide. Maybe there's at least one album you love on this list, but you might be disappointed if you don't see one of your personal favorites included. Don't lose heart. Your favorite may still show up on a list of greatest albums ever made, a list where sales figures aren't the sole criteria used to decide which is the best.